A basic quiche is one of life’s simple pleasures. Its creamy custard filling and endless choice of extras (cheese, mushrooms and ham, to name but a few) make it a satisfying and tasty meal. It can be enjoyed warmed as a savoury dinner, or served cold for lunch with a simple side salad. 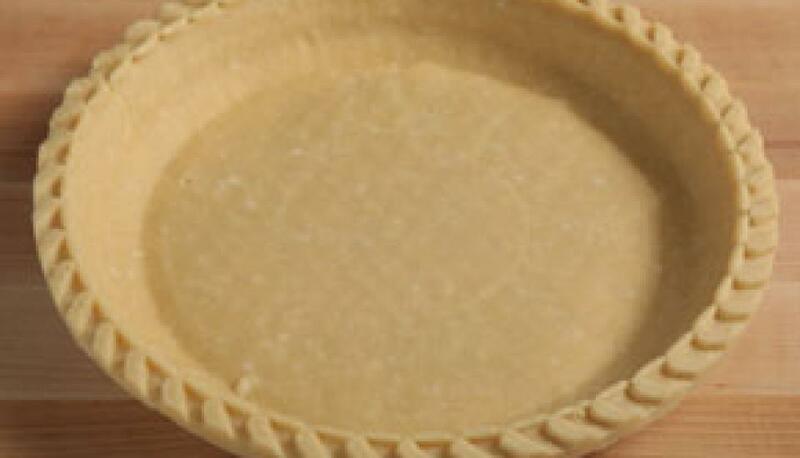 Keep pre-baked pie shells on hand to easily whip up a delicious meal the whole family will enjoy. Preheat oven to 375˚ F (190°C). 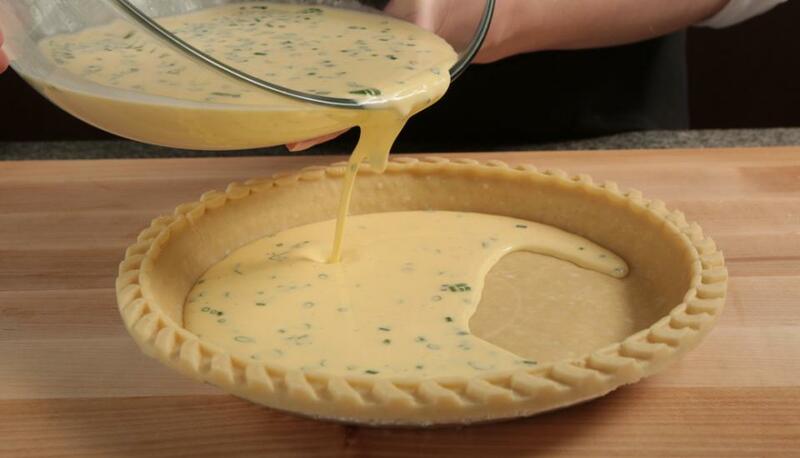 Sprinkle cheese and any other fillings you’d like onto the bottom of your pie shell. 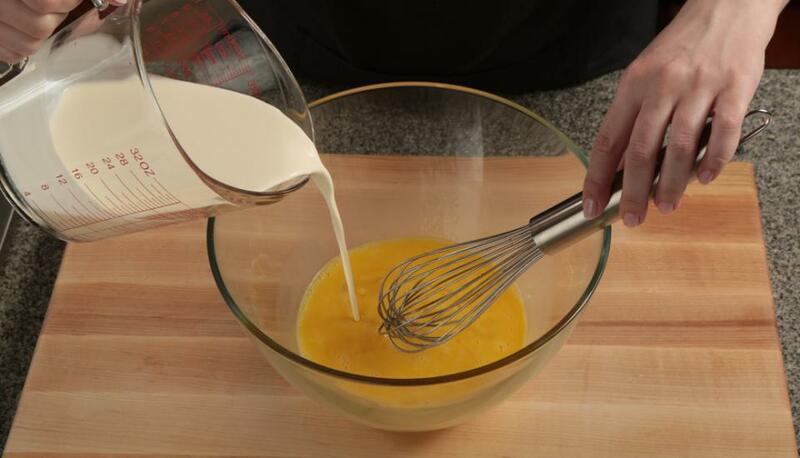 Whisk together the eggs and cream (or milk) until smooth with a custard like consistency. 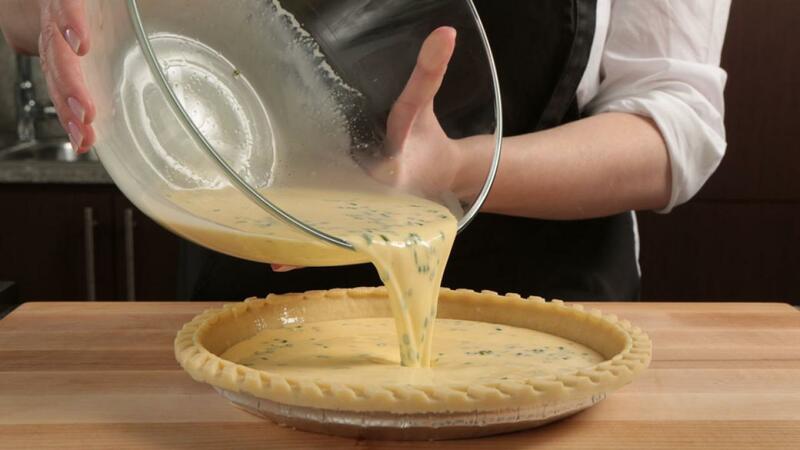 Carefully pour the mixture into the pie crust. Bake for 35-40 minutes or until the custard turns a golden brown. To check doneness, insert a knife into the centre of the quiche. If it comes out clean it’s done! Let stand for 10 minutes before serving. Quiche Lorraine: Combine 6 slices crumbled crisp bacon, 1 cup (250 mL) shredded Swiss cheese, 1/4 cup (60 mL) minced green onion, 1/4 cup (60 mL) each green and red pepper strips, 1/4 tsp (1 mL) ground nutmeg, and 1/4 tsp (1 mL) dry mustard. Mushroom Quiche: Combine 1 cup (250 mL) sautéed sliced mushrooms, 1/2 cup (125 mL) shredded Cheddar cheese, and 1 tsp (5 mL) dried thyme. Ham and Cheese Quiche: Combine 3/4 cup (175 mL) shredded Swiss cheese, 3/4 cup (175 mL) diced cooked ham, 1/4 cup (60 mL) chopped red or green sweet pepper, and 2 tsp (10 mL) finely chopped fresh chives.